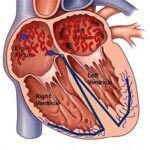 Premature Ventricular Contractions in EKG – When To Be Concerned? When premature ventricular contractions are identified, doctors usually aren’t surprised. When an EKG is performed, medical specialists look to see if the patient has any issues concerning the heart or circulatory system. In some cases, there is no reason to be alarmed, but in other cases, immediate medical action will be taken. The course of action that your doctor takes will depend on the severity as well as the frequency of your premature ventricular contractions.